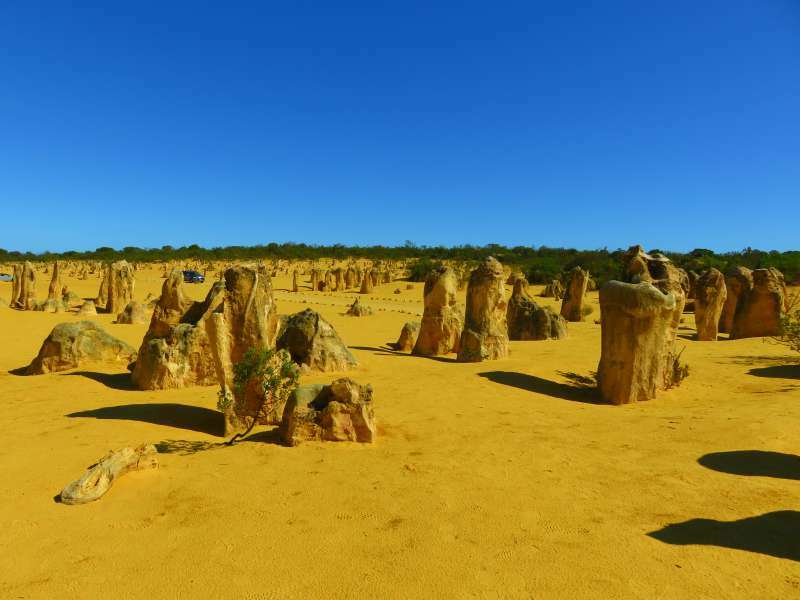 The Travelling Lindfields: Pinnacles and Stromatolites: Ancient formations and living fossils on Western Australia's Coral Coast. 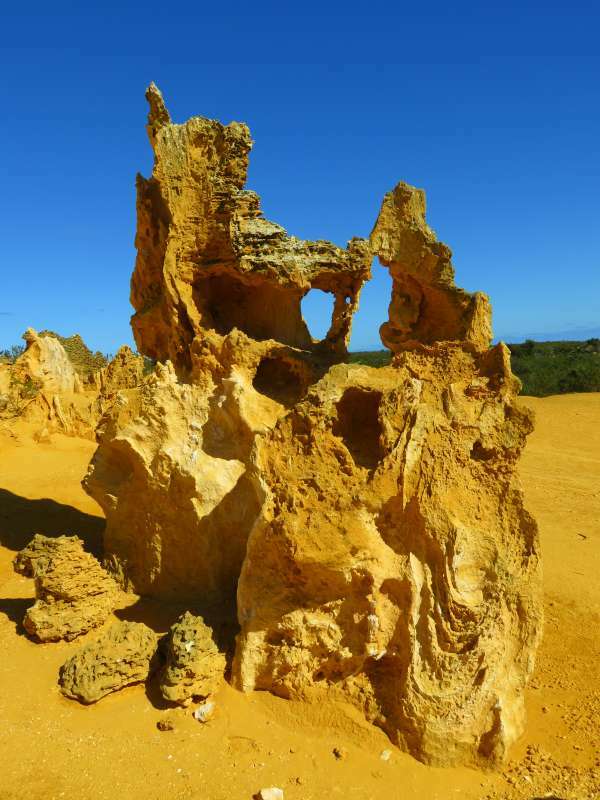 Pinnacles and Stromatolites: Ancient formations and living fossils on Western Australia's Coral Coast. 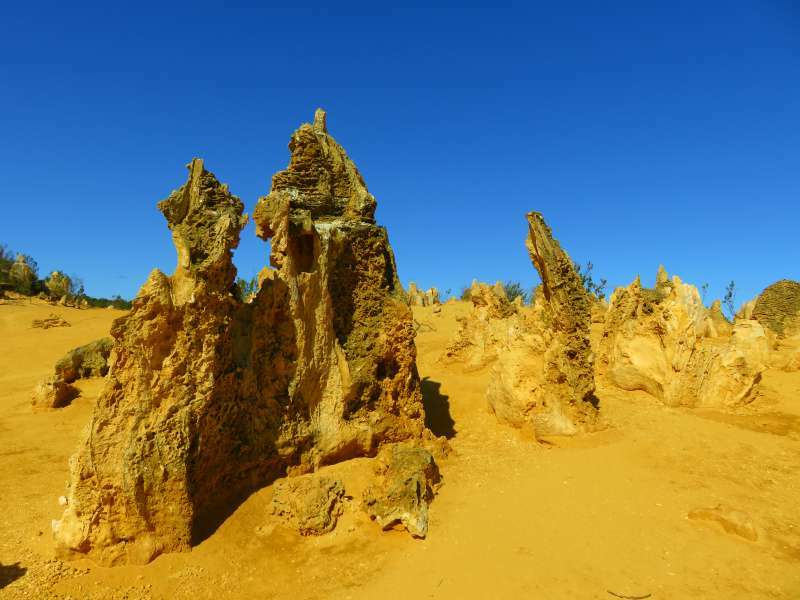 The Pinnacles Desert and the stromatolites of Lake Thetis make a great day trip for anyone with even a vague interest in what the earth may have looked like in primordial times. The Pinnacles may be as old as half a million years, while the stromatolites show life as it was at the dawn of time - 3.5 billion years ago. Bored to tears by geology in high school, I found the Pinnacles Desert and the Stromatolites of Lake Thetis fascinating. 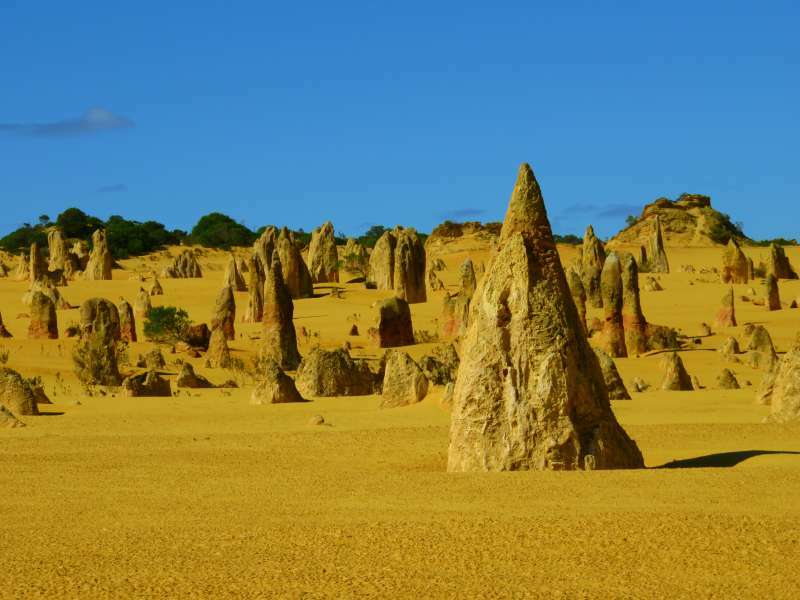 No one knows quite how long ago the eerily, striking natural structures of the Pinnacles Desert in Nambung National Park, Western Australia were formed, but today they draw 250,000 visitors every year. Pillars of time-warn limestone, some several metres tall, jut out of the surrounding sand dunes like a petrified, paleolithic garden. Every structure seems to have its own unique, weather-beaten shape. The stromatilites of Lake Thetis are babies by comparison. While the organisms you see are estimated to be only 3,500 years old, they are living descendants of the earliest life-forms to appear on earth - literally living fossils. 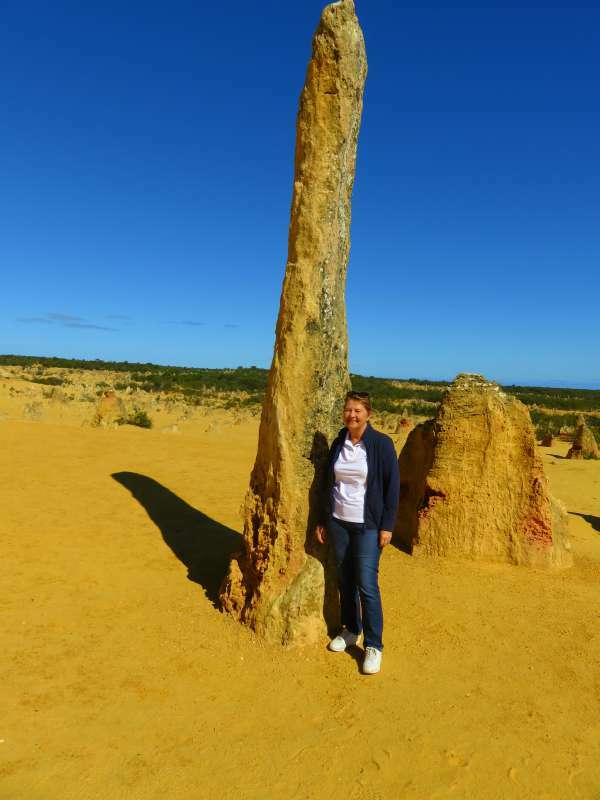 Me standing next to one of the tallest pinnacles, just to show how high some of them are. 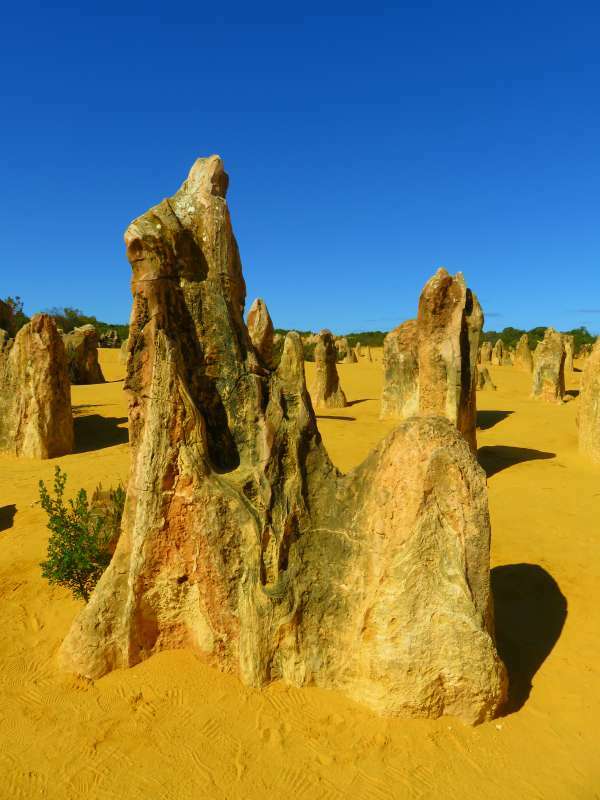 The Pinnacles Desert is in Nambung National Park, 17 kms south of Cervantes. It is a couple of hours north of Perth by car along the Indian Ocean Drive. Only 6 kms from the ocean, the Pinnacles were mistaken for the ruins of an ancient city by Dutch sailors in the 1700s. There is a day pass entry fee of $12 per vehicle ($6 for seniors) or you can purchase a four week holiday pass for $46. You might want to consider the holiday pass if you plan to visit other National Parks in Western Australia. Not all of them charge you to enter so check beforehand whether the holiday pass will be cost effective. Click here for a link showing which parks have entry fees. Note that the holiday pass does not give you entry to the Monkey Mia Reserve at Shark Bay. The Pinnacles Desert is open 24/7 all year round. Should you drive or walk around the Pinnacles? The park has both a walking trail and a 4 km driving loop. The road is unsealed but perfectly suitable for a 2WD car. Don't panic at the early pot-holes. The worst section of road is at the very beginning of the loop. Caravans and trailers need to be left in the car park. We drove around because we were a bit pushed for time. The road goes much further into the park than the walking track so if you have a car I would recommend driving. There are plenty of places to stop and look around on foot. The whole loop took us about half an hour. There is a modern Visitor Centre with displays explaining how the Pinnacles were formed. It is a lot more interesting than it sounds. Bring a hat, sunscreen and water. This is Western Australia and the sun is unforgiving. I will be the first to admit that stromatolites are not an attraction you want to travel a long way to see. They look a bit like lumps of grey coral just under the surface of the lake, but if you are in the area anyway they are worth a detour. To really appreciate what you are seeing make sure you read the signs, then stop for a moment and imagine what the earth was like when these were the only forms of life. 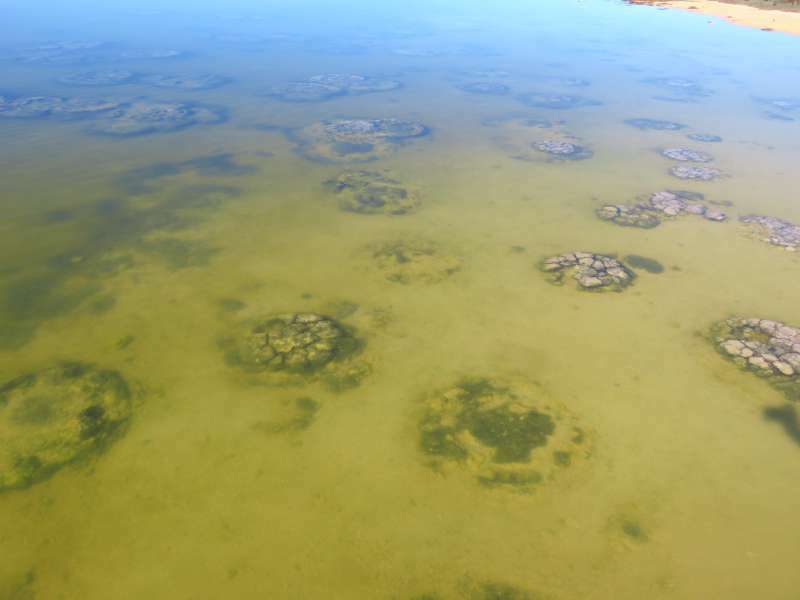 The Lake Thetis stromatolites are estimated to be about 3500 years old but they are closely related to organisms which existed 3.5 billion years ago and were the earliest life-forms on earth. 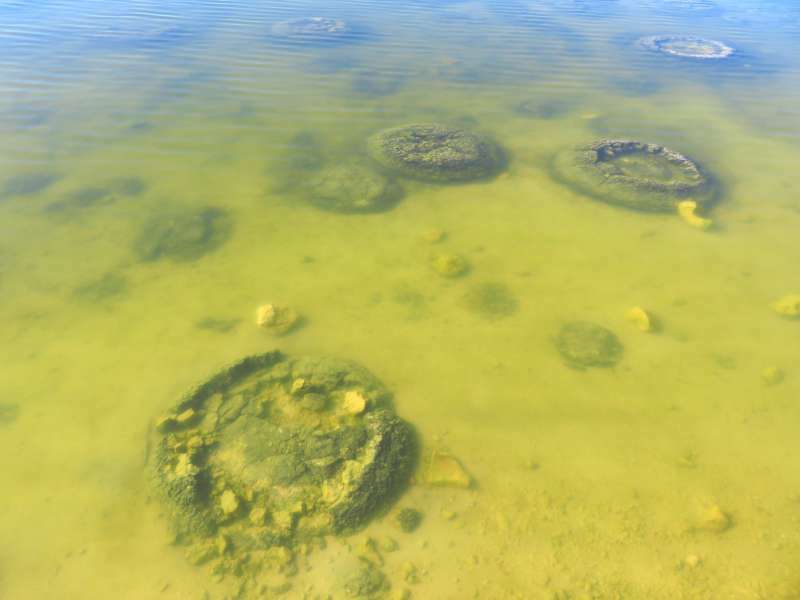 Where are the stromatolites of Lake Thetis? The turn-off to Lake Thetis is on Hansen Bay Rd. Hansen Bay Rd runs left off Cervantes Rd just before you reach Cervantes. The lake is 1 km from the start of Hansen Bay Rd. The road to the lake is unsealed but when we were there it was fine for a two-wheel drive vehicle. There is a 300m long boardwalk trail which takes you to a couple of viewing spots with interpretive signage. At the end of the boardwalk continue along the track for a 1.5km loop circumnavigating the lake. Bring a hat, sunscreen and water. There are no shops or other facilities at the lake. Oh wow, this looks absolutely amazing!! Those structures, it's mesmerising!! Mesmerising sums them up exactly. I love Western Australia. I think it is one of the great undiscovered destinations of the world. Australia does seem to have some wild geological features. I'd like to walk through the Pinnacles as they seem to be people sized when compared to Karst formations and other limestone structures on land. The stromatolites are just plain weird. Haha - just weird hits the nail on the head. Very interesting read - thanks for sharing - definitely not my area of expertise but I learned a lot! I am glad you enjoyed the post - or at least learnt something new. They are amazing aren't they - both the Pinnacles and the Stromatolites. If you get a chance try to include Western Australia in your itinerary. It is an amazing place. Not quite the middle of nowhere - but close lol! 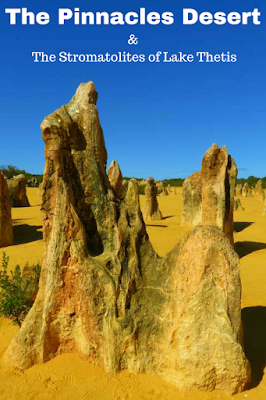 I remember my parents taking us to the Pinnacles when we were kids and it is fascinating. We didn't ant to leave. I wish I had been able to take my boys there when they were little but we never got north of Perth on any of our trips to W.A. The Pinnacles are probably more geology/biology - but I'm with you, it was all fairly boring at school. Western Australia is a long way from everywhere but that is part of its attraction. These ancient landforms are so interesting. It looks like you were on another planet. I'd make the drive for those photos! It was a bit other-worldly. Your photos of the Pinnacles are beautiful. One day we will reach Australia and it looks like I will have to book a few months off to see everything that you highlight. Another great post! Try to get across to Western Australia when you visit. It is worth the effort. 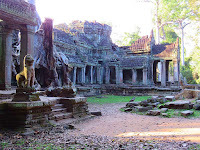 Thanks for the trip down memory lane, we can thoroughly recomend visiting this area as well. So unique and fascinating. Those stromatolites (there's a mouthful!) - I can't quite believe they're not rocks! And the Pinnacles Desert looks unreal. I can see why they would be mistaken for the ruins of an ancient city. More than anything, I'm shocked at how they have managed to survive all this time in such a harsh landscape with nothing to shield them from the elements! I guess the stromatolites are a bit like coral. When you look at coral you don't think it is alive either but I agree with you, it is hard to think of them as being alive. I am fairly sure I have seen things a bit like the Pinnacles in the U.S - on the west coast. They may even have been called 'pinnacles'. I don't remember them being quite to dramatic though. Haha - 'otherworldy' - it's a word now. Wow! 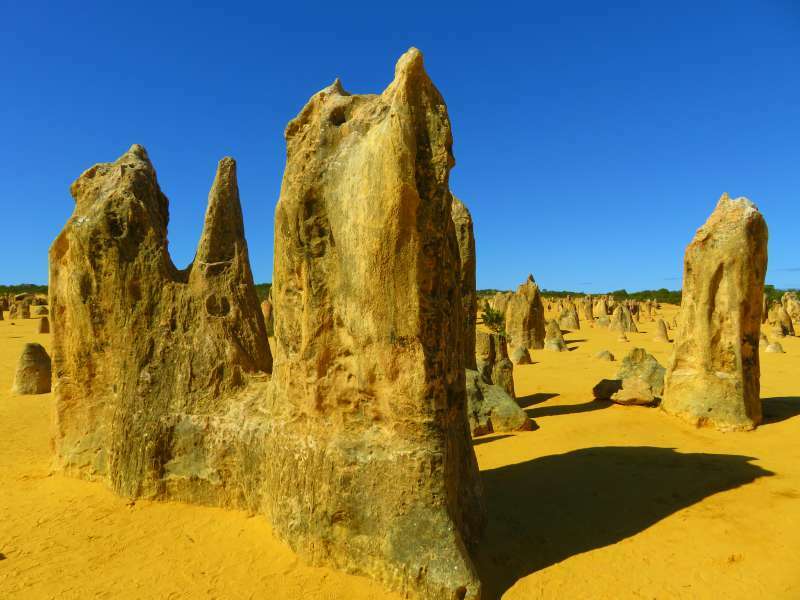 The Pinnacles Desert looks like an amazing place to visit and explore. Thx so much for sharing this, Lyn. You will have to put Australia on your todo list! yea australian deserts are amazing. One day i'll come there again. The Pinnacles Desert has been there for thousands of years - it can wait for you. Fascinating, it's not like the Pinnacles national park I know in California, but stunning just the same. We went to the Californian Pinnacles a few years ago. There is something about the name 'Pinnacles' which draws you in. Such a fascinating area. Like you, geography wasn't a main interest for me at school, and my husband is a geologist - so when we find places like this which are sooo old, I'm led in hook line and sinker. The Pinnacles - I don't think you can really understand the feelings they invoke unless you visit, can you? The area does feel primordial. Your post was super - I loved your photos and the helpful information for anyone wanting to visit. Jo, Coming from you this is high praise. I have read many of your posts on Western Australia and always found them useful. As Kiwis I'm embarrassed to say we've not been to Western Australia at all! The more I see about it though the higher it climbs on our to visit list. You've captured photos of these so well, they're incredible. Its also great to see that there are so few people around. If they were anywhere easier to get too they'd be the next big thing on Instagram I'm sure! Australia might be just across the ditch but Western Australia is still a long way from New Zealand. Even from Sydney it is a reasonably time on a plane to get here. Be warned - Western Australia is addictive. If you visit once you just keep wanting to return. I so enjoy reading about your Australian adventures. The pinnacles were fascinating as were the stromatolites although the pinnacles were more beautiful! Great read!! I am glad you enjoyed the post. Needless to say there are more West Australian posts to come.